Skye Meredith comes from a very creative family. Skye's mum uses plants to dye her Wensleydale wool and Skye delves into these abundant wool baskets, overflowing with gorgeous natural coloured wool and makes unique handmade dolls. 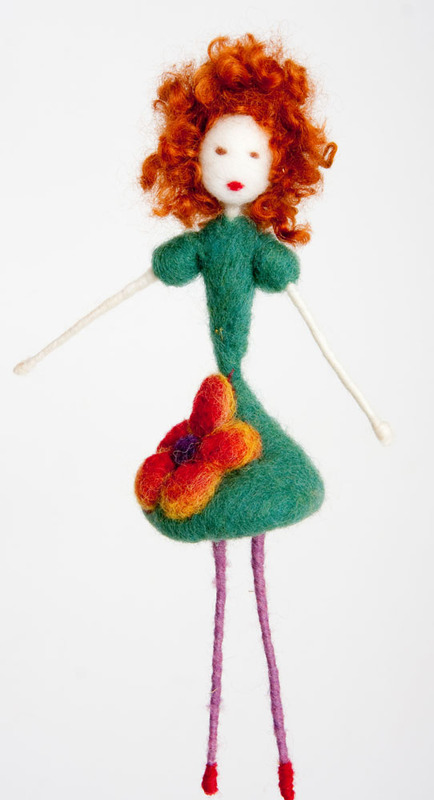 Green doll above has been made using a felting needle around a pipe cleaner frame. She has been plant dyed using chamomile, indigo and madder and her hair is naturally curly Wensleydale fleece dyed with onion skins. 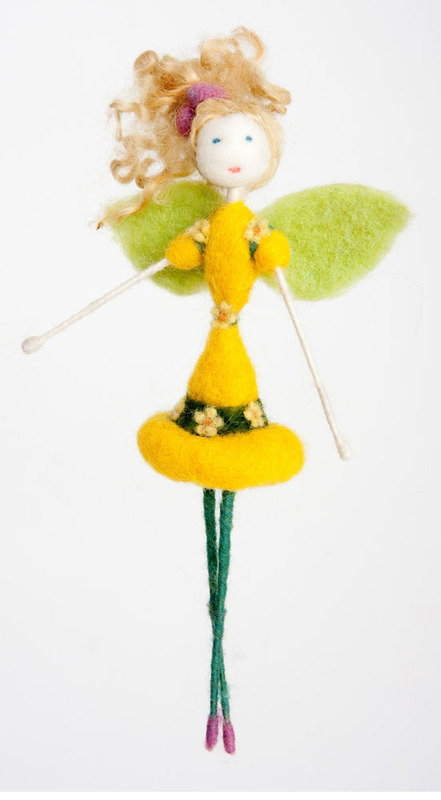 Yellow Fairy Doll's dress is plant dyed chamomile and indigo and her hair is naturally curly Wensleydale fleece dyed with woad. 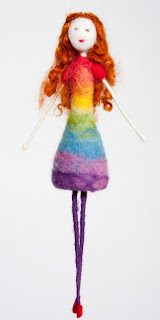 Rainbow Doll's dress is dyed with cochineal, madder, chamomile and indigo. Her hair is naturally curly Wensleydale fleece and has been dyed with onion skins. Each doll is unique, handmade with love. Click on Textiles and then Dolls to see the whole range of Dolls that Skye is offering. Each one would make a wonderful gift for someone special or as a treat for yourself and your home.